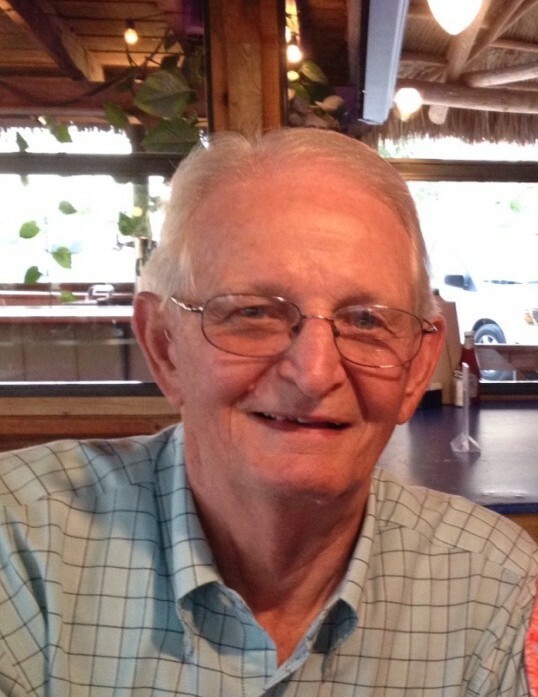 Fred Koster, 86, of Hamler, OH, departed this life on Tuesday, March 26, 2019 at CHP in Defiance for a far better life in heaven. He was born March 18, 1933, to the late Henry and Erna (Wilkens) Koster. On June 6, 1959, he married the love of his life, Elverna (Norden) Koster, and they shared over 59 years of marriage. Fred worked as a millwright at Campbell Soup Company and General Motors. He retired from GM in 1995. In Fred’s early years he spent much of his time as a skilled archery hunter, winning many trophies at competitions and hunting bear, elk, and deer with annual hunting trips out West. Once Fred’s hunting days slowed down, his girls kept him busy with woodworking projects. He enjoyed this hobby for years, as he could make anything from wood. Fred was also an avid sports fan following all his grandchildren’s sporting events along with PH sporting events. Fred and Elverna attended many polka dances and enjoyed many polka bus trips. When having quiet time, he enjoyed the challenging game of Sudoku. He also loved to spoil his grandkids with wonderful family vacations. Most of all Fred was a dedicated husband, father, grandfather, great-grandfather, and friend to many. Fred was a faithful member of St. Stephen’s Lutheran Church, Hamler. He was also a lifetime member of the Ohio Polka Boosters and Patrick Henry Athletic Boosters. Along with this Fred was a member of the Maumee Valley Sportsman Club and the American Legion Post #262. He honorably served his country in the U.S. Army from 1953-1955 in Japan, and then was a Reservist from 1955-1961. He is survived by his wife Elverna (Norden) Koster; children, Kim (Mike) Imbrock, Hamler, Karen (Jim) Schmidt, Hicksville, Kris (Kevin) Seemann, Deshler; grandchildren, Mykal Imbrock (Danny Knapke), Joe (Samantha) Imbrock, Morgan Imbrock (Clay Fry), Kendra (Jason) Timmerman, Kelsey (Taylor) Klepper, Karley (Taylor) Brown, Samantha (Matt) Sherman, Kolby (Libby) Seemann, Kyler Seemann; great-grandchildren, Lennox Timmerman, Jack and Ruthie Klepper, Briggs Brown, Emmett Seemann, and 2 new precious great-granddaughters in May, sister, Elizabeth (Vic) Borstelman. Fred was also preceded in death by sisters, Erika Fedderke, Madonna Tietje, Maria Lange, brother, Henry Koster Jr.
Funeral services will be held at 11 a.m. on Saturday, March 30, at St. Stephen’s Lutheran Church, Hamler, with Rev. James Wenger officiating. Graveside services will be held at the church cemetery, where a full Military Honors will be accorded by Hamler American Legion Post #262. A luncheon will follow in the church fellowship hall. Visitation will be 2-8 p.m. on Friday, March 29 at Feehan-Rodenberger Funeral Home, Deshler and from 10-11 a.m. on Saturday, March 30 at the church. The family suggests memorials to St. Stephen’s Lutheran Church Memorial Fund in Hamler or to the donor’s choice.